Ductless mini split ac systems offer the year-round comfort of your environment. Choosing the perfect system varies depending on your needs. These are the best brands on the market for cooling and heating. Senville air conditioners represent quality and comfort. We love their dual zone for multiple rooms as it is powerful, whisper quiet, and inexpensive to run. 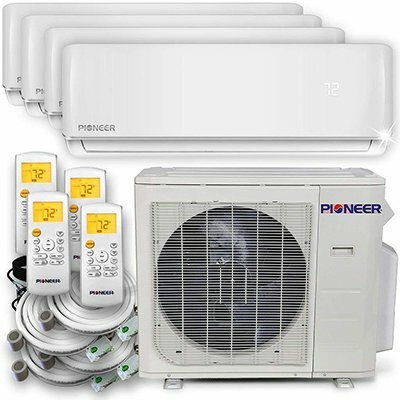 Pioneer offers value & variety with a wide range of powerful AC units for room of any size. Heating options and energy efficiency help make this our #1 choice in ductless air conditioners. This small air conditioner is perfect for condos, apartments & mobile homes as it heats and cools. Choose from 2 models for more or less energy efficiency. Living in a ductless home or apartment is stressful when the temperatures start soaring in June. Similarly, as winter approaches, the thought of cold nights without the ability to regulate the temperature of your home is quite depressing. Thankfully, help is at hand, in the form of energy-efficient, ductless mini split air conditioners. Our guide will help you understand more about the different ductless options as well as highlighting some of the best brands and models to help you discover which one will suit your needs best. A conduit that joins the indoor and outdoor portions together through a combination of refrigerant cooling tubes, ample power supply, and a condensate drain. In the end, you get a cooling system that works similarly to the central air unit but without the numerous ducts, the loud noise associated with most central units and a compact, energy-efficient, versatile, simple to maintain air conditioner. According to the Department of Energy, these systems do not involve the use of ducts, and thus they prevent significant energy losses. In fact, according to their recent studies, duct losses account for more than 30% of energy consumption for space conditioning, they are in an unconditioned zone like the attic or basement. Energy.gov’s infographic explains how mini-split air conditioners are more energy-efficient than other air conditioning solutions. However, the best advantage these systems can offer you is the flexibility to have multiple units set up in different room/ zones in your home. You have the option of picking your preferred air conditioner model between the single, dual, triple or quad-zone A/C units. If you are getting ready to cool your home this summer, heat up your bedroom in preparation for the chilly winter ahead, or are just looking for a temperature regulation system that will help make the world a greener global community, then you should opt for a ductless air conditioning system. After hours of thorough research and testing the most popular models on the market, we identified the best ductless mini split air conditioner as the Pioneer Air Conditioner Inverter + Ductless Wall Mount Mini Split System. One of the unique features about this fantastic aircon unit is that its installation process is a breeze, all you have to do is follow the step-by-step manual instructions and voila- you can get a reliable, functional, versatile and sleek AC giving your home a refreshing feel and look. It is also flexible, reasonably energy-efficient, noise-free and quick to assemble offering feather-touch controls, convenience with the 24-hour energy saving timer and impressive permanent washable filters. This model ranges from 9000 to 36000 BTU’s with the 12000 option being perfect for most smaller homes and the 24000 option best for larger areas. Best of all, it comes in at a great price so you can’t go wrong with the Pioneer Wall Mount Mini Split System! To narrow down the list and identify the six best and most reliable mini-split AC systems, we spend hours and weeks analyzing, testing and researching on the best 50 ductless models on the market. Our results are based on user feedback, expert reviews, accurate statistics, thorough research, manufacturer data and the features of each model, as well as government energy reports and ratings. Our research went on to show that the average height of our ductless AC models was 26 inches, and the average weight was 40.8 pounds. There were 18 units under that height and 10 models under the average pressure, and we weighed those elements together with the systems’ energy-efficiency, cooling performance and customer reviews. Ultimately, there are six models that stand out and had good user experiences. In addition to our top two premium picks from Pioneer and Ductless Aire, there was one Senville unit, a second Pioneer and Senville unit and one model from Gree. Ductless or mini split air conditioners work as their name suggests: they offer you a more effective way of cooling your home or office without the need for air ducts. This option can still require a large installation expense with modernize home website suggesting the ‘average cost of a single ductless air conditioner would be $1800.’ In saying that, we believe it possible to achieve cool air a fraction of that cost by self-installing the system or searching for HVAC contractors. They work in a similar way to central air conditioners by producing cool air in the same manner by sucking up warm air, absorbing the heat and moisture from that air and then dumping the humidity and high temperatures outside. The only difference between the central AC and the ductless systems is the way they go on to deliver cold air, a system that we will delve in when we compare the various types of air conditioning units. With that said let us dive deeper into how mini split air conditioners work and how they cool your home, garage, office and other spaces without the ductwork. The indoor unit (also known as the blower and evaporator unit) is mounted on the wall or ceiling. It is usually thin and around 3 inches long, and it is responsible for sucking in warm air from the said room, absorb the heat and moisture emitted and then it blows cold air back right into the room. The conduit connects the blower unit to the outdoor condenser. It is a thin, long cord that features the power supply, refrigerant cooling tube, and the condensate drain. According to Energy.gov, it works by feeding electric power to both the blower and outdoor condenser and is the pathway which all the heat and moisture emitted inside your home leaves and moves to the capacitor. The condenser receives the heat and moisture via the conduit and dumps outside and simultaneously pumps fresh air to the inside of the system. The ductless mini split air conditioners also work as reversible systems where they work as a cooling system during the hot summer and spring seasons and as heating systems during the chilly and unbearable cold winter months. Well, as we have clearly defined ductless air conditioners produce cool air by sucking up warm air, absorbing the heat and moisture from that air and then dumping the humidity and high temperature outside. However, for them to do this, there are a few things to be considered, and one of them is the SEER rating, the HSPF and BTU rating. A functional mini split system ACs ranges in the efficiency of about 15 SEER to 38 SEER. 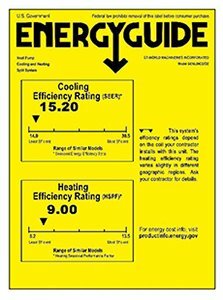 SEER is a rating of the air conditioning efficiency and is commonly referred to as the Seasonal Energy Efficiency Rating, and it defines how much cooling a ductless unit can accomplish per the energy used. The higher the SEER rating, the more efficient the unit will be. For heat, we consider that HSPF Rating, or the Heating Seasonal Performance Factor. For this factor, most ductless mini split air conditioners ductless have heat pumps that start at about 9.0 HSPF to about 15 HSPF. There is also the BTU, British thermal unit which is the power of the air conditioning unit. The BTU ranges from the single-zone mini split systems that are of about 9,000 BTU to the multi-zone ductless air conditioner units that are of about 42,000 BTU. However, in as much as the multi-zone systems create the same number of BTUs, they are usually split between two or more evaporators. For example, a 36,000 BTU condenser might serve four 9,000 BTU evaporators. The room size also determines the BTU needed and this is clearly shown on this chart. Here is an example of standard BTU chart calculations based on the room size. Zones 1 & 2 (hot): 22-30 Btu/sq. ft. Zone 3 (warm): 20-24 Btu/sq. ft. Zone 4 (moderate): 18-22 Btu/sq. ft. Zone 5 (cool): 16-20 Btu/sq. ft. Zone 6 (cold): 14-18 Btu/sq. ft. Zone 7 (very cold): 12-16 Btu/sq. ft. It is incredibly overwhelming trying to understand all this and when you feel that you are not up to it, always ensure that you seek the services of a trained professional in a bid to try and understand all these considerations. Ductless mini-split air conditioners do no rely on an indoor ducting network for heating or cooling services, but instead, they feature small heat or cooling units that you install in multiple or dual or even a single zone of your home. Ductless air conditioner and heaters feature some minute tubing known as conduits that run from each of these units via a floor or wall to your room’s exterior than they move on to the heat pump’s enclosure. They make use of retrofit add-ons to your home with “non-ducted” heating systems, such as hydronic, hot water heat, radiant panels, and space heaters like wood, kerosene, and propane. The moment you decide to switch on the heat pump, the unit does not burn any fuel like those stone-age furnaces. Instead, they funnel the real heat from the ecological system, the outside air and use the blower or evaporator unit to direct the heat into your home’s interior. 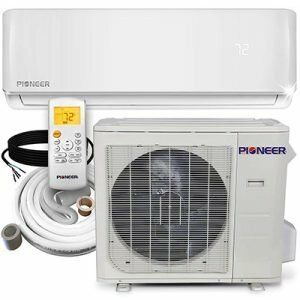 If you are looking for an air conditioning system for your garage, bedroom, kitchen, office or living area, the Pioneer Air Conditioner Inverter + Ductless Wall Mount Mini Split System is your best bet. Pioneer brands are famous all over the world for their supreme quality and excellent performance, and the Inverter + Ductless Mini-Split is no different. Pioneer has produced a simple, versatile and cost-effective HVAC solution. It is designed with the latest technologies for high efficiency, comfort, and performance. It comes in various capacities; 9000, 12000, 24000, 30000 and 36000 BTU/Hour, but the 24000 BTU ductless air conditioner which is the most accessible and reliable BTU unit. This is because it is the best for most medium to large room sizes and Pioneer recommends it for spaces of 650 – 900 sq ft.
Its installation process is a breeze; all you have to do is follow the step-by-step manual instructions. It also offers you a heat setting (unoccupied-vacation mode) of 46F, a cooling mode outdoor ambient range of: 32~122 F and a heating mode outdoor ambient range of +5~86 F. The system also includes a wireless remote control that enables you to comfortably choose the best of the four operating modes, which provides cooling, heating, dehumidification, and ventilation. One customer over at the Sylvane website loved that the AC unit came as a complete kit which made the installation easy. It also features the automatic switchover mode that you can automatically operate through its onboard computer, a timer function that allows you to customize the system to start or stop running at a certain period and the impressive night mode function that automatically adapts the temperature settings to the naturally altering body temperature levels in the dead of night. This Pioneer AC also goes on to offer you an auto restart function that memorizes all settings in case of a momentary power outage and resumes the system to continue running the same way after reconnection. The general SEER range varies is between 16 – 24 with different options available depending on the power level. Keeping in mind the numerous numbers of ductless mini split systems designs coming up every single day, you need to be sure of the air conditioner that will best suit you for days on end, and the Pioneer Mini Split is the best choice due to its high quality, reliability and excellent performance. You can learn more by visiting Pioneer or reading the manual here. It is one of the best value and eco-friendly AC systems due to its refrigerant leak detection and the wide range of SEER energy star ratings. It is also sleek, practical, versatile, convenient, simple to put together and cools the room within seconds. The system is not the most efficient and is a little cumbersome. However, despite these issues, it represents value for money, is quiet, and easy to use. Clocking in with a 21-22 SEER rating is the deceptively slim-line Ductless Aire Mini Split Air Conditioner and Heat Pump. They offer you supreme excellence, ultra-efficiency, and whisper-quiet climate controls. Aire is one of the most highly-rated Energy Star certified rated systems due to their fantastic and impressive through environmentally approved technology. The 24,000 BTU model has cooling power suitable for rooms between 400 – 1000sqft thus making it incredible for offices, garages and your home at large. It features an energy star rating of 20.5 SEER thus making it incredibly economical and eco-friendly. The smaller 12000 & 18000 BTU options are also extremely powerful ac units that combine cooling power with energy efficiency. The system also offers you the fantastic whisper-quiet technology and the refrigerant leak detection system that automatically informs you when an accidental leak occurs. It as reliable and technologically convenient as other modern technology-driven units with the incredible washable HEPA filters that eliminate 99.9% of all microbes, the low ambient operation and the three cooling speeds that allow the air to circulate and cool off. The systems custom and attractive design with some minimalist aesthetics make it a perfect and convenient choice for homeowners or tenants who are stylish and fancy some clean, fresh and crisp air on a 24hr basis. The system also offers you a simple installation mode with the 25ft Installation Kit and easy-to-follow manual that most users can understand. It also has a robust energy-efficient system thus making it more effective than most units. We have a 1200 Sq ft shop with over 12 ft ceilings, insulated on 4 walls and a 11 ft glass garage door on one end. This unit maintained a comfortable 65-68 degrees with outside temperatures at 28-35 degrees. 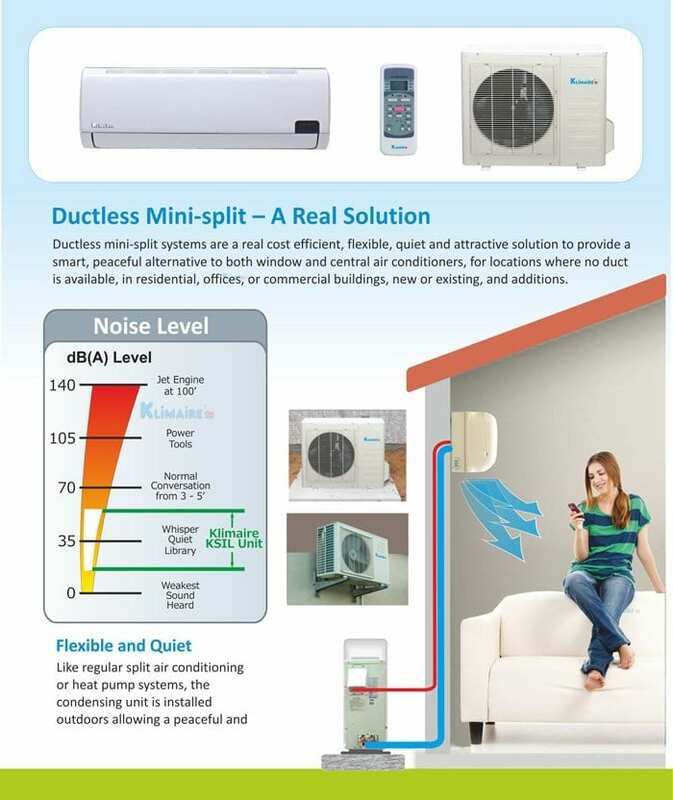 The Ductless Aire Mini Split AC continues to be the definitive air quality solution for your cooling and heating requirements when you need a comfortable and convenient system without the hassle of ductwork! It is the most energy-efficient and eco-friendly AC due to its refrigerant leak detection system and the low 20’s SEER energy star rating is environmentally friendly. It is also sleek, practical, versatile, convenient, and cools any regular sized room. The system is pricey and requires following the instructions to a tee on installation. However, despite these issues, it is vastly energy-efficient, quiet, powerful and easy to use. If you are looking for a ductless AC that is a winning combination of versatility, convenience, effortless operation, and ultra-high efficiency and performance, then look no further- The Senville SENA-18MO-209 Dual Zone Ductless Mini Split Air Conditioner is your best bet! This smaller option features an 18,000 BTU (2 x 9000) and 23 SEER rating that is adequate to cool up to two 500sqft rooms and better energy efficiency due to the DC Inverter Technology that promotes ultra-high efficiency and excellent performance. The system delivers high quality and durable power cooling and heating for single rooms, extensions, garages and small commercial spaces like cafés, restaurants, and delis. For a larger space, Senville offers double the size with a 36000 combined BTU ac unit system available. It also comes with the added benefit of a two-year warranty and a seven-warranty on the inverter compressor, the trendy and reliable Toshiba compressor, which runs at a variable speed based on the load you need, thus making it extremely efficient and nuisance-free. In the event of that a power failure occurs the unit will automatically restart to make sure that your home receives the cooling or heating it needs, thereby ensuring consistent climate control. It also has the PTC heating belt, which is a heating belt fitted on the base plate of the outdoor area to circumvent the accumulation of rain, snow or water on the base plate. This couldn’t work any better. It’s quite and very cold. Just started using the heater part of it and that works great as well. So happy with this product. The system can effectively cool your room during those hot and unbearable summer temperatures and keep you warm during the harsh winter seasons. Moreover, with its almost noise-free operation that does not impinge on the daily activities at your home and the industry-leading technology, easy to install and affordable, the Aura Series, you can cool and heat up your house at temperatures of up to -22F/-30C. It also comes with a wireless remote control so adjusting the settings is quite easy and straightforward. So, if you want to save on energy, eliminate the potential for in-duct mold growth, and get rid of the space consumed for duct runs indulge with this compact and super powerful air conditioner and you will enjoy its benefits without spending a fortune! 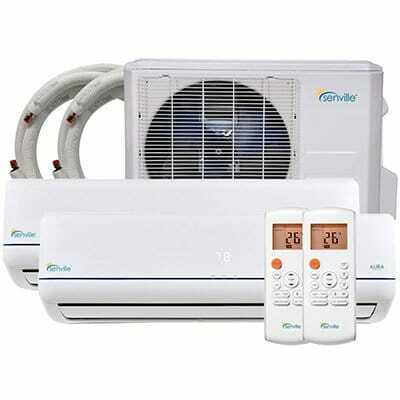 It is the best dual zone ductless room ac for home use. Senville AC’s are sturdily-constructed, cool your rooms quickly and are perfectly-priced. The ultra-high efficiency helps save energy and reduce your power bill while eliminating the potential for in-duct mold growth. The system does not have the Wi-Fi app, and it is bulky. Heat Pump Up to 86 F.
The Pioneer WYS040GMHI22M4 Ductless Mini Split Air Conditioner System is an ultra-high-efficiency inverter+ ductless multi-split quad (4) zone heat pump system that offers you also cutting edge technological system that has superior efficiency, performance, and comfort. 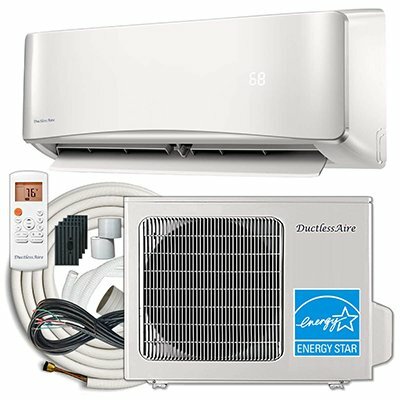 It is a unique model due to it operates on 208-230V 60 Hertz which is the standard household power thus making things better and smoother for DIY and extremely proficient homeowners who attempt to put together this type of high-voltage air conditioning system. It is available in capacities ranging from 9,000 BTU/h 12,000 BTU/h to 18,000 BTU/h which makes the Pioneer WYS an ideal AC model for two to five-zone residential and light commercial usages. You can individually and independently set each zone to be on or off, or run with different temperature settings (the only exception is that system cannot run both heating and cooling modes simultaneously for the various zones). 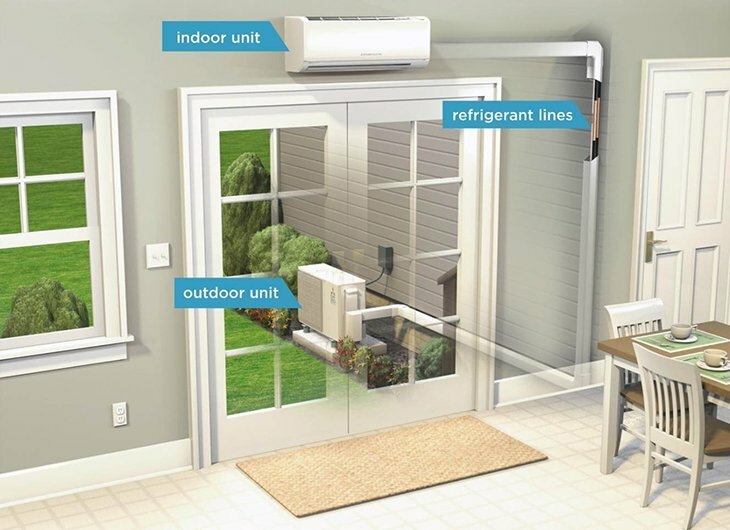 It features ductless indoor and outdoor unit 16′ installation kits. Contrary to most beliefs, installing the Pioneer unit is not as challenging as perceived by most consumers. It is, in fact, one of the most DIY installed systems. It just requires you to have some skills, and if you are not up to the task, you can always seek the services of an AC professional. However, when it comes to the PIONEER WYS040GMHI22M4 AC, things can be a bit complicated in which case you have to consult a local licensed professional. The model also has cutting edge electronics that automatically controls its capacity range to meet precise cooling (and heating) pre-sets and even to sustain the optimum temperature and conditions, whether you want to have fresh and crisp air in your living or working space, and also limit the amount of electricity you put to use. It is also one of the cheapest mini ductless air conditioners on the market and is equipped with a heat pump that you can use for your heating purposes, an ultra-high efficiency DC inverter compressor that runs at variable speeds to give you a valid operation. It also runs on a SEER rating of between 21 and 23 thus making it very energy efficient and on a more extended outlook, it serves as one of the best green methods to enjoy cleaner and more refreshing air while also conserving the environment. It is just what you and your family needs for your home. So invest in it today! It is the best ductless multi-zone mini split air conditioner on the market. It is also quick to set-up, simply-constructed, sturdy, efficient functional, durable and eco-friendly. It also has washable filters that make it convenient and the impressive 23 SEER rating to help you conserve energy. The AC has a complicated installation process, and it is noisy. 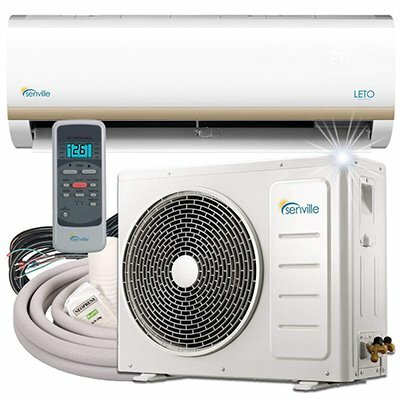 The Senville SENL-09CD 9000 BTU 15 SEER Ductless Mini Split Air Conditioner System is the leader in Ductless Air Conditioning, and it has been one of the most fore-front systems that have been heating and cooling your home and business for over 10 years. It serves as a convenient, affordable and efficient way to heat and cool your home throughout the year. It has a 9,000 BTU and 15 SEER Energy rating, making this ductless mini-split system the premium choice when you need to cool or heat a huge room or a room with those beautiful and higher-than-normal ceilings. It has an inverter technological design that gives you a perfect and more substantial way of controlling the climate in your home and a silent indoor handler that offers you powerful cooling and heating. It also features an outdoor condenser that you mount outside a programmable remote control that gives you a feather-touch way of operating the system and the free 16ft installation kit that goes on to improve the model’s functionality and versatility. The system also comes with a manufacturer warranty of two years for the parts and a five-year warranty for the compact and powered Toshiba inverter compressor. The affordable system gives you peace of mind and allows you to enjoy powerful cooling and heating temperatures that are fantastic for most spaces, including single rooms, additions, garages, restaurants, and others. It is the perfect system to consider purchasing or your family this year! It is the most affordable and portable air conditioner. It is also lightweight, attractive, versatile and convenient system. It, additionally offers you a whisper-quiet operation quick installation process, excellent performing 15 SEER rating excellent climate control and feather-touch remote controls. It is flimsy, not sturdy, and breaks down quickly. The Gree UMAT24HP230V1AC-S – 24,000 BTU 18 SEER Ceiling Cassette Ductless Mini Split Air Conditioner is a 24,000 BTU ceiling cassette ductless mini split heat pump system with an energy efficiency of 18 SEER Energy Rating. It also has the ceiling ductless air conditioner cassette design that has a convenient, inconspicuous climate system that you operate with the infrared wireless remote control or wired controller mounted to the wall allowing you to control it in any room. It is a quiet discrete and arguably the most efficient and best ceiling-mounted AC to control the climate in your home and office. It features a G10 Inverter Engineering Technology that is energy-efficient, eco-friendly helps in reducing outside noise and keeps your room temperature steady by getting rid of the harsh starts & stops of conventional systems. It also factors in the whisper-quiet u-match system that operated at a sound level of as low as 56 dB (A). The system also comes in a full range of capacities that effectively and perfectly match any room size space, whether you are dealing with a substantial or small size room. It also has the ultimate Eco-friendly R410A refrigerant that offers you reliable room comfort. According to K. Roth, N. Sehgal, and C. Akers Fraunhofer Center for Sustainable Energy Systems the ductless mini split air conditioner is your ultimate choice for eliminating any probable in-duct mold growth occurrences, and it is simple to install and mount in retrofits, as it does not require a duct. Get yours today and rejoice in fresher air. It is the best wall mounted ductless air conditioner. It is also lightweight, convenient and offers you a powerful and three-speed fan motor. It also features the feather-touch controls and a scratch-resistant front which makes it durable and it is highly energy-efficient. It is not suitable for extra-large rooms. Ductless mini split air conditioners offer a great range of features. However, when you are trying to get the best deal out of it things become a bit tricky, so you need to be clear about your requirements. It is not always about getting the most technologically advanced system or the one with the best SEER rating but rather, it is about the system that suits your exact need and budget. Our recommendations are based on what most consumers can afford compared to those big brands like Fujitsu, Mitsubishi LG, Samsung, Carrier, Daikin, and Goodman. Not to say that these known brands aren’t good, but many of their models have significant issues and they tend to be too costly. They are also not as well-produced as these other brands thus making them less convenient and suitable for your needs. When you are out shopping for your mini split system air conditioner, make sure that you do not forget to compare wisely. Choose a model based on the one that will offer you the best comfort and convenience at a lower cost, or the one that can save you a couple of bucks both in the short-term and the long-term without compromise. These six brands without a doubt do that and more. 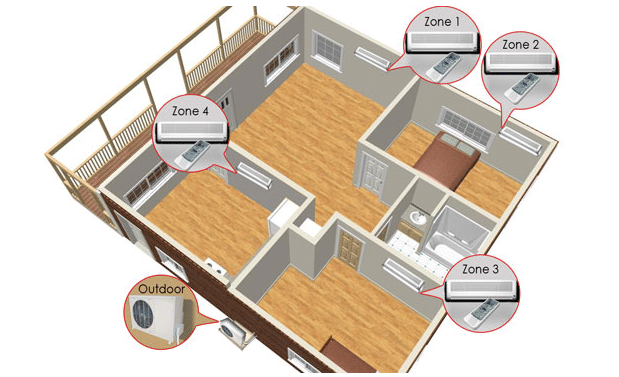 You need to consider the number of zones you need since ensuring that you get the right ductless air conditioner system to cater to the number of zones you need to condition is vital. Most single ductless ACs cool one room and the multi-zone models cool or heat up several places. The benefit of having this consideration is that you can automatically and conveniently control each zone distinctly. A quad-zone air conditioning unit, for example, is perfect for multiple zones and you can set it to four different temperatures based on your preferences. The same goes for the dual zone and triple zone units. Having multiple zones can also assist you in eliminating wasted energy and allow you to customize the temperatures of your rooms differently. It also saves money, and they give you an economic advantage over those who use the central air conditioning systems. Before heading out to buy your AC, you need to consider the size of the room that needs cooling or heating. You do not want a case of having a unit that is too small– meaning you will not get enough heat or cold air. Having an air conditioner that is also too large causes problems like temperature fluctuations and failure due to short-cycling. Instead of guessing a size, consider having your HVAC technician perform a Manual-J Load Calculation test to properly size your room and the ductless system required for that space. Ductless mini-split air conditioners are expensive – most cost between $1,000 and $5,000. However, if you need a perfect mini spit system, you might need to make some sacrifices since the most powerful are costly. If you want one that is robust and potent enough to cool a large room, or perhaps you need a multi-zone unit that can handle multiple places, then you should not be surprised to pay a handsome amount at the store. If you also require one with a functional heat pump, the price might still be up, depending on the manufacturer and brand. You also need to consider the installation, on-going energy costs, and maintenance fee which may be high depending on the type of services you seek. We cover all types of air conditioners so smaller varieties should also be considered. The power of mostly all air conditioners is measured in BTUs, the British Thermal Unit. So, put these measurements at the top of your ‘what to consider’ list. You also need to make sure that you know that the higher the BTUs, the higher space an air conditioner will effectively cool. In most cases, you will have the measurements offered in the specs of the product, but you can always result in doing the calculations yourself. Most ductless air conditioning system brands are Energy Star certified, a system that allows you to understand the energy efficiency of the unit. So, if you need to cool down a larger space or some rooms, then you should consider having an AC system that automatically and without struggling increases the energy. If you are also trying to decide whether you need a considerable number of models and their energy efficiency, you must make sure that you consider the SEER rating of the unit. Every mini-split air unit offers you the SEER rating in their specs and the higher the number is, the more incredible the A/C unit will perform regarding overall energy use. You also need to carefully consider the unit’s noise levels; you do not want a system that keeps you on both at night and during the day. So make sure that you ask the technician to test the unit beforehand so that you can see if you can tolerate the noise emitted or whether you prefer another AC unit to the one you had initially picked. Most ductless systems make use of the regular and standard 110-120 volt outlet. However, there are some that require a higher energy level. Therefore, if you go on to purchase one for you; make sure that you consider the type and size of the model. If the model, for example, requires a 220 or 240-volt plug, then you will be required to seek the services of an electrician for an upgrade so that you do not blow a fuse or cause electrical fire damages. You do not want to be homes now, do you? If you are however looking to save on installation costs, then you should consider getting a smaller one where the type of volt outlet the unit requires is much lower. Installation can go two ways: you can opt to DIY or consult an HVAC expert to help in the facilitation. So, in case you choose the DIY method, you may need to dive deep into research and become a pro before you head on headfirst to install the unit. In most cases, you need to check out the ductless air conditioner reviews of different models so that you can get an idea of how the process is complicated and the directions to take when installing. If you, however, doubt your abilities to follow instructions or understand these complications, then your best and safest bet is to go ahead and call in a professional. No one wants to purchase a unit of almost $2000 without having a guaranteed-warranty backing it up. So, as you consider your purchase choice, make sure that you check out the manufacturer’s warranty details and the customer support they offer you. Having the right systems of communication and support makes a huge difference especially when it comes to situations like the ductless air conditioner installation cost, process and the technical support service to seek when the unit breaks down. You should also go through the reviews and brand reputation so that you can get a head’s up to how long a particular unit has lasted for other customers and the kind of support they have been receiving. Purchasing a ductless system also means that you will be using loads of power supply. So as you type in or draw up your budget make sure that you consider the ongoing electricity costs. You might also need to consult your utility company on this so that they can help you make smart power bill cost decisions. Do you need the system for any additional uses? Most mini splits include a heating pump and a dehumidifier function. So, putting into consideration the type of climate you live in, you need to consider a system that offers you heat during winter. Do you need a remote control? Some ductless units come with a remote controller for convenience. You might need it, especially when you have multiple things to do, and you do not have the luxury of moving from one room to the other. 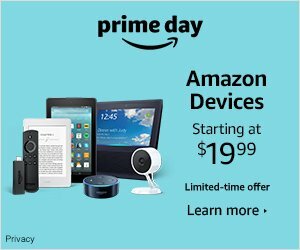 Is a programmable timer something you need to consider? If yes then you need to invest in it. They not only save you loads of cash but also help to keep your room at a certain temperature during the day. You may also need reusable filters since filters can get pricey. When you are doing your maintenance routines, you need to take it out and clean then return it and save yourself a wholesome load of cash. A ductless mini-split system consists of three components: the indoor unit, conduit and outdoor consider. They have no ducts and are more energy efficient than other ACs. They are especially perfect for those older buildings with thick walls and ceilings. Mini split AC typically keep your room at a constant temperature, unlike the portable and window units that go on and off throughout the day. They also have the heating capacity thus making your winter seasons more bearable with their incredible heat pumps. An excellent and functional ductless system has a BTU of 18000. Ductless systems also come in various units; the single, dual and multi-zone systems thus making them convenient. Their compact size also allows for better flexibility in temperature control zoning where air conditioning is limited to the areas where the operations are located. A portable air conditioner is a self-contained mobile system that is incredible for cooling your humidified small rooms and sits on your floors. It comes with a convenient installation kit that enables quick assembly, and most of them come with wheels making it easier to move from one room to another. It works by drawing indoor air and expelling it through a single duct. It, however, does cool and heats your home according to your preference. It can also dehumidify, thus making it convenient and of course, adds comfort to the room. They are also not as energy efficient as the mini-split units but some models are still cost-effective and quiet solutions. A window conditioning unit according to Energy Star is a cooling device that one installs directly to their window, or through-the-wall depending on the brand and type of AC model. 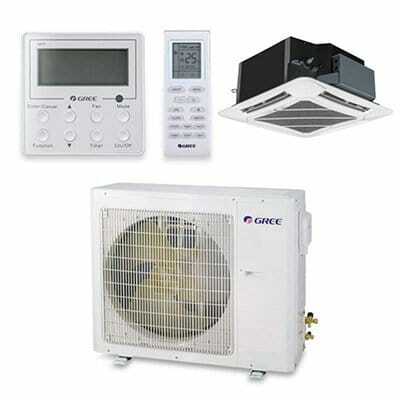 It is the most popular AC especially in the urban and city dwellings since it is efficient, convenient, and versatile. We have reviewed the quietest models here. It is the most affordable and the easiest to install. You may require a handyman to fix it because it is cumbersome but you can always get it functioning without having to seek a professional’s help by merely following the laid down instructions. It is also more energy efficient than the portable AC and does not take up any floor space. You can find our top small window AC picks here. A central air conditioning system is one where the air is cooled at a central point and then distributed to and from rooms or areas in the house by one or more fans and ductwork. It consists of a compressor that makes the whole process of air conditioning possible and easy as pie. The compression of the refrigerant gas allows the system to discharge heat out of the house then it brings in the cooler air. If you need your whole house cooled at once, then central air conditioning is your best option. It is virtually invisible and adds value to your home. It is, however, less energy-efficient since cool air has to move through ducts to get the air where you need it. It does not matter whether you are an expert AC systems’ contractor or a handy DIY homeowner because sometimes installing a mini-split system can be a challenging task. However, when you follow the manual guide to the letter, you might realize that fixing the system can also be as easy as taking a walk in the park. First and foremost, make sure that you turn off the electricity circuit beforehand. Ensure that you hold the system’s mounting unit to the wall, level it, and then mark the screws’ location and ensure you also screw the area you need to bore a hole for the condensate drains, refrigerator cooling tube and the power cable. Head on to drill a hole into the block wall with a reliable hammer and a functional 3-inch-diameter masonry coring bit. When the pilot penetrates go ahead and ensure that you put an end to the boring of the hole from the outside. Screw the mounting bracket into the wall (making sure it is level). Go ahead and attach a vertical chase, which houses the refrigerator cooling tube, condensate drain, and power cable, under the hole in the outer wall. Encompass the condensate drain down a few inches to the ground by ascribing a length of a PVC tube. Make sure you secure the drain tube to the pipe with some strong duct tape. Head on to tightly clip the lower portion of the pipe to the chase by fastening and bolting on a metal C-clamp. With the utmost precision, bend the copper refrigerator tube down into the chase. Ensure that you use at least two adjustable wrenches to get rid of the compression fittings from the ends of the copper lines. Now head on to set the outdoor condenser on level ground or place that is directly adjacent to the chase. When you do so, make sure that you go ahead and run a weather-tight conductor from the outdoor electrical box to the outdoor unit through feeding some electrical wires through the conduit. Ensure that you have a substantial length of nonmetallic electrical cable from the condenser unit to the indoor unit. Put on or snap back the cover onto the chase to hide and securely protect the tubes and cable. Make all the necessary electrical connection alterations at the outdoor unit and the AC and then ensure that you pressure-test the AC unit with nitrogen to about 250-300 pounds per square inch. Empty out the nitrogen then open valves to discharge the refrigerant into the unit. After all the necessary connections are made, go ahead and turn on the electricity and securely and adequately test the air conditioner. Maintaining an AC unit can be quite tricky. However, it is vital to note that when you have a clean AC you have a more efficient cooling system, and it costs less to run. How do you deal with dirt and debris stuck in the system? Simply clean or replace the dirty filters. You will be required to clean the screen on a regular basis. Depending on how much time the system is operating on and how fresh and clean the air is you may need to clear out the system every few weeks. How do handle the vacuum coils and fins? When cleaning the filters, you may also need to carefully examine the surface of the evaporator coil. If you find any debris and dirt, make sure you, with utmost care, remove the dust with a soft upholstery-brush attachment. How do you handle leaks? Make sure that you seal the perimeter around the unit. Avoid short cycling: Even though most electronic systems have some inbuilt timers to prevent the system from rebooting immediately after it shuts down. Ensure that you wait five minutes after shutting it down to reset it. Close off the vents: Without a doubt, the basement is the most cooling space in the home. To ensure that you cap up all the vents in the lower rooms of your house. Do some servicing: A little maintenance dramatically benefits your home especially when you have some annoying tree seed issues; they get stuck to the filters and make the conditioner to work harder. Look into your ducts: Ensure that the areas where your pipes run through without AC are well-insulated keeps the air coming in as cold as it can be. Try running it at 78 degrees: It is an excellent point for an AC to run at its optimal performance level. Ensure that you turn the lights off: Turning off the lights off reduces your heat levels. When you are out on your family trip or that picturesque vacation time, make sure that you turn your AC up to 85 and close the drapes and windows. It might be sweltering for the first five minutes when you get home but closing the curtains and keeping the sun out allows the fresh air to stay that way for a long time. Even though you have your ductless AC, do not forget or throw out your fan. Using this fan means you do not need quite as much air pumped into your room. Work hand in hand with your utility company. They offer rebates to their customers, especially those who opt to upgrade their cooling systems with more energy-efficient equipment. Living in an enclosed home environment can be stressful if you don’t have the correct temperature regulation. Lucky for you though, specialists are working hard in their laboratories trying to come up with better and more energy-efficient air conditioning systems to help you enjoy fresher and cooler (or warmer) air in your home. The top ductless mini split aircon is the Pioneer Air Conditioner Inverter + Ductless Wall Mount Mini Split System which we wholeheartedly recommend you try. Say goodbye to the potential in-duct mold growing on your walls and vents and accumulated dust in your living area and hello to a reliable, functional aircon that you can rely to control your temperature at home. Ductless mini split air conditioners are the trendy, effective and greener way to go! Get yourself one of the top air conditioning systems today, and you can live a happy, comfortable lift at home!